PARIS -- French Finance Minister Bruno Le Maire called for the dismissal of jailed Renault CEO Carlos Ghosn, all but assuring the celebrated auto executive will lose his last toehold on power. France is Renault’s most important shareholder, with a 15 percent stake, extra voting rights and two seats on the board. The government had stood by the 64-year-old executive during his almost two-month interrogation in Japan on allegations of financial misconduct -- even as its alliance partners, Nissan and Mitsubishi Motors ousted him. But this week the French stance started to shift. Renault’s board will probably meet in coming days to replace him, people familiar with the matter said earlier, asking not be identified because the information is not public. The board was spurred into action by Ghosn’s failure this week to win bail, which points to a lengthy incarceration and would prevent him from carrying out his roles at Renault, they said. The embattled executive was arrested on Nov. 19 in Japan. French officials are visiting Tokyo to discuss the future of the alliance between the automakers, government spokesman Benjamin Griveaux said earlier in Paris. The state’s priority is to defend the “stability” of the partnership and the jobs it provides, he said. The delegation includes Martin Vial, who heads the agency that oversees French state shareholdings and sits on Renault’s board, and Emmanuel Moulin, Le Maire’s chief of staff, a ministry spokesman said. Renault and the French state had cited the principle of presumed innocence in backing Ghosn, while Nissan and smaller alliance partner Mitsubishi removed him as chairman. Accusations against Ghosn mounted this week, including a reported 7 million-euro payment ($8 million) from a Dutch entity named NMBV that is part of the manufacturing partnership he assembled between the three automakers. Nissan CEO Hiroto Saikawa was interviewed in the French press this week, defending his efforts to remove Ghosn and seeking to downplay the portrayal of the saga as a power struggle. Ghosn’s arrest created a climate of suspicion between the companies, whose alliance has been held together by the globe-trotting executive for almost two decades. While both firms have repeatedly said they are committed to the alliance, Nissan has long been unhappy about what it considers an outsized French role in the partnership. Renault, which rescued the Japanese automaker two decades ago, has a 43 percent voting stake in Nissan, which in turn owns just 15 percent of the French company, with no voting rights. A spokesman for Renault earlier declined to comment on any possible changes in governance at the automaker. A spokesman for Nissan reiterated the company’s internal investigation uncovered “substantial and convincing evidence of misconduct.” The spokesman declined to comment on managerial decisions at Renault. 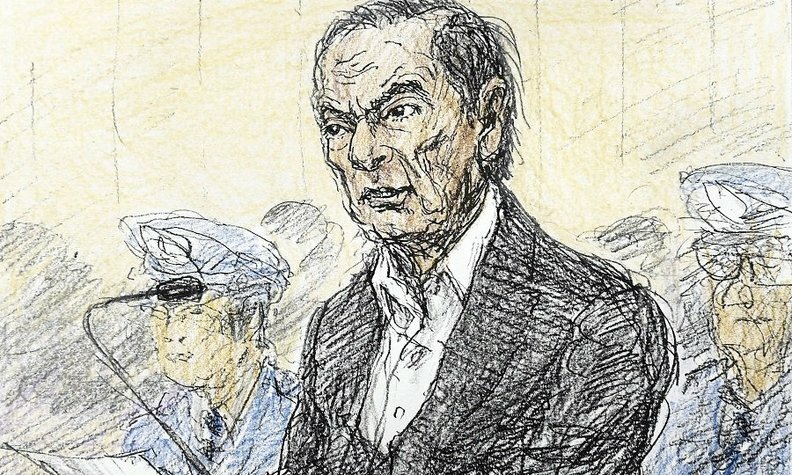 Ghosn’s lawyers, represented by Motonari Otsuru, had no comment. The state has called for a Renault board meeting in the next few days, Le Maire said. Interim CEO Thierry Bollore’s mandate could be made more permanent, while Michelin CEO Jean-Dominique Senard is the leading candidate to become chairman, one of the people told Bloomberg.